My rating is 5+ out of 5 stars. 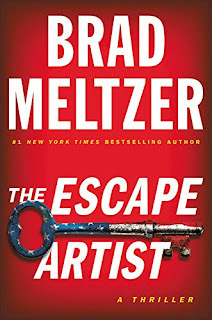 When a friend told me about the latest novel that was coming soon written by Brad Meltzer, I quickly read a synopsis found online. Ok, I was totally hooked! I just couldn’t wait to read the novel that also has factual data inside the story, making the novel mesmerizing to say the least. So, when I began reading, I couldn’t see where the connection was to the magic of Harry Houdini. I plunged ahead and the further into the maze of mystery I explored, I occasionally wondered where the author was taking me. Yet, by the middle of the book or perhaps sooner, I simply couldn’t put the book down until I was so tired I couldn’t see the words clearly. The next day, when time allowed, again I opened the book to continue the exciting and thrilling story that was being slowly woven together right before my eyes. As I went along, I forgot about trying to figure out where I was being led and simply became engrossed in the action taking place. As I read the last chapter and page, I knew that the wait was worth it! 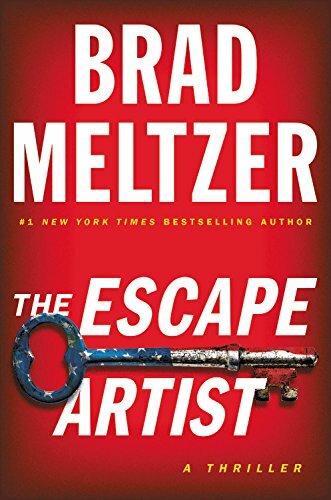 The author delivered one of his absolute best thrillers in a long time! While magicians may use slight of hand, Brad uses his pen in the same way throughout each page and through each character. Sometimes I was taken aback that what I thought was happening wasn’t and/or a totally unanticipated turn in the plot took place.